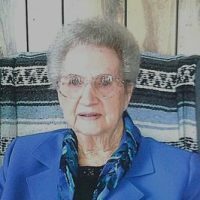 Ruby Wilson Rowley, age 97, of Huntington, Ut passed away February 7 2019 in Ferron, Ut. Ruby was born December 22, 1921 in Price, Ut to Pierce and Hilda Gilbert Wilson. She was the third of nine children. Ruby grew up in Hiawatha until her junior year of high school when her family moved to Huntington. There, she met the love of her life Ermon Rowley. They were married June 19, 1939 in the Manti LDS Temple. They had six children, five girls, one boy and one foster daughter. Ruby took in many foster children which she loved dearly. Also survived by 29 Grandchildren, 99 Great-grandchildren, and 24 Great-great-grandchildren. Ruby was preceded in death by her parents, husband, 1 grandson, 3 sisters and 1 brother.